A Seattle-based architecture firm best known for its design of transformative urban spaces has been honored by the American Institute of Architects. LMN Architects has received the 2016 AIA Firm Award. 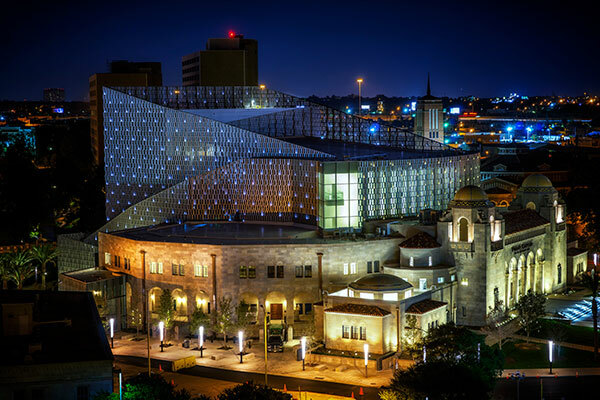 LMN Architects' portfolio includes the Tobin Center for Performing Arts in San Antonio. “Through their design of several significant urban theaters and convention centers that are thoroughly wed to the life of our cities, LMN provides an altogether different vision of a fully sustainable and civic minded future that embraces urban life,” wrote Stephen Kieran, FAIA, of KieranTimberlake, in an award recommendation letter. KieranTimberlake is a past AIA Architecture Firm Award recipient. LMN Architects was founded in 1979 by George Loschky, FAIA, Jud Marquardt, FAIA, and John Nesholm, FAIA. The firm has 145 employees and boasts a collaborative culture and commitment to civic life. Convention center projects in Vancouver, Cleveland, and Cincinnati form “iconic gestures of civic identity well beyond the buildings’ limits, expanding civic engagement and bringing together diverse communities,” according to the AIA. The firm designed the Vancouver Convention Centre West, a project with nearly 20 accolades. Performing arts centers in Seattle, Memphis, and San Antonio represent “similar feats of civic enrichment, opening the arts to the community in vibrant gestures that embrace the city itself as a participant in the drama of the performance event,” the AIA notes. In addition, the firm’s higher education projects on campuses such as the University of Washington, University of California, San Diego, and University of Iowa address the need for neighborhood and district-scale responses. LMN is also the mastermind behind the design for the Seattle metro area’s first-ever regional light rail system, according to the AIA. “In each case, LMN has used complex programmatic buildings to bind together ill-defined urban districts,” AIA said. 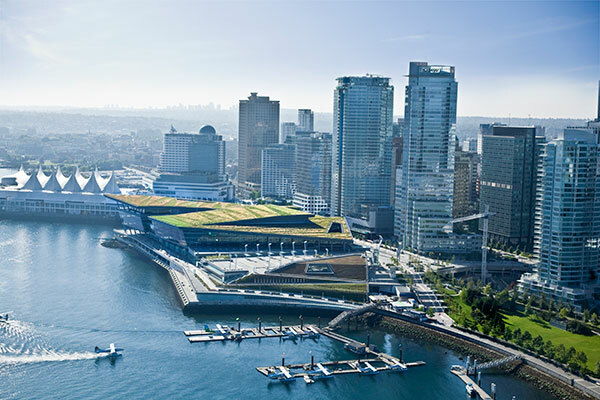 Vancouver Convention Centre West is the winner of 19 design awards nationally and internationally–including the AIA Institute Honor Award in all three categories. The world’s first LEED Platinum convention center encompasses at once a singular building, an urban district, a public park and gathering place, and a “front porch” for the city on one of the most unique building sites in North America. The University of Washington’s Foster School of Business in Seattle, where a four-story, daylit atrium runs the entire length of PACCAR Hall and cultivates a new standard of social performance. Multiple entrances are knitted into the pedestrian flow of the campus, with views, topography, and landscape embraced as integrated elements in the architectural experience. The Burnham Mall, Cleveland Convention Center, and Global Center for Health Innovation in Cleveland, which reinvigorates Daniel Burnham’s 1907 City Beautiful plan by placing a monumental civic park space on top of a new convention center facing Lake Erie, seamlessly weaving together a major public assembly building with a city park. The Tobin Center for the Performing Arts in San Antonio, an addition and renovation of the 1926 Spanish Mission-style Municipal Auditorium, inserts a new hall within the footprint of the existing building, creating space for a new studio theater while also forming a new exterior plaza facing the River Walk. For the first time in history, this civic building makes an inviting public connection to San Antonio’s treasured River Walk, opening up the arts to the entire community.